Android smartphones and tablets are excellent educational and learning devices. It doesn't matter if your age is 16 or 60; even cheap and entry-level tablets and mobile phones are powerful enough to provide you day-to-day valuable information and news in a useful and easy-to-digest package. Those who want to study related to their academic lessons can use Khan Academy. It's chock-full of educational videos covering topics ranging from physics to economics. It's a great learning app to add on low-cost Android tablets and phones, whether you want to break into a new field or brush up on old knowledge. If Khan Academy is about the academic, then Udemy is about the pragmatic. Udemy offers classes to help you learn various skills, from public speaking to personal fitness and from programming to software development. 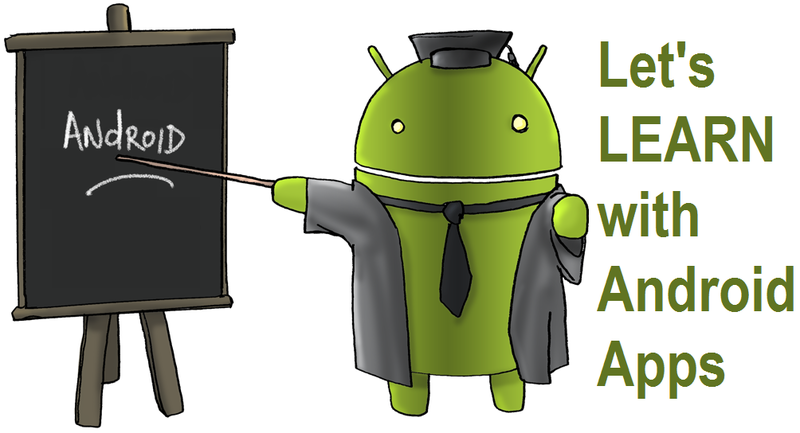 Some of the courses are paid, but it's nonetheless a good app to work with on cheap Android smartphones and tablets. Those seeking to sharpen their mathematical skills will find this app pretty useful on their budget tablets and phones. First off, Photomath app will recognize photographs of mathematical equations and will solve those equations. Second, it will show you how it solved those equations – helping you better understand the principles behind the answer. It's great for college students and for anyone working with numbers. Wikipedia is an app that allow user to view its huge library of encyclopedic information in most easy way. It even comes with an option to save entries so you can view them offline – perfect for when you plan to go off-grid and would like to study up on entries that caught your eye. Duolingo app is a great way to start learning a new language using cheap Android cell phones and tablets. It does so not by bombarding users with lessons, but by spacing out lessons in bite-sized mini-games. It's also free, which is a definite plus for any language-learning tool. Daily Art helps you learn more about fine art, one day at a time, using your affordable Android tablet and phone. It focuses on one major piece per day, and provides all sorts of information to help make it easier to understand the significance of the art you're looking at. You'd be surprised at the history – and the beauty – you can appreciate from the bites that Daily Art provides. We kid you not, YouTube is one of the most useful learning app you can install on a cheap Android smartphone and tablet. There are a ton of educational channels on YouTube, from Discovery News (DNews) to the Crash Course series. There are also numerous tutorial videos based on elearning and online education concepts, that can solve your problems and provide you answers related to "how-to" questions. You can even watch upcoming electronic gadgets video online to get in-depth pros and cons details. Just use YouTube's built-in search engine to get started. Education isn't just about knowledge. TED Talks is all about collecting the wisdom and insight of various individuals around the world, then presenting that wisdom in short, bite-sized videos. The sheer extents of the topics covered in TED Talks make it a great tool for expanding your horizons.